Breaking news: a giant, evil corporation may outbid another giant, evil corporation to buy a giant, evil corporation. 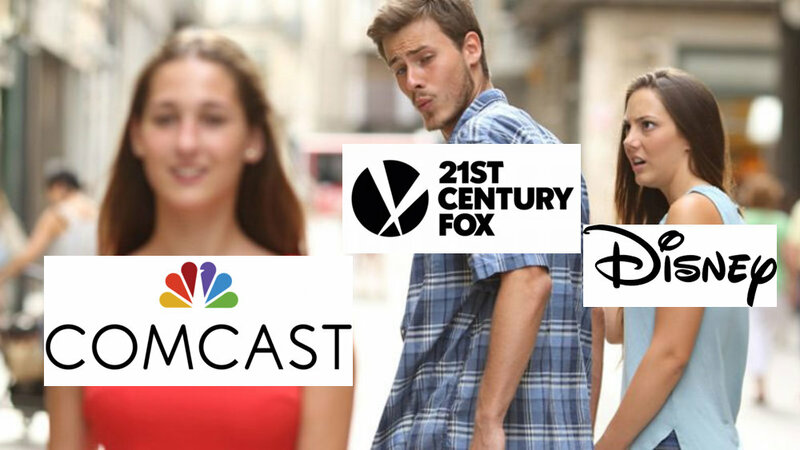 According to Reuters, Comcast is preparing to make a $60 billion all-cash bid for 21st Century Fox, after Disney made an offer of $52 billion for Fox back in December. Comcast had flirted with the idea and that exact figure before. According to the report, Comcast CEO Brian Roberts wants to go through with the bid—but only if the pending $85 billion acquisition of Time Warner by AT&T ultimately goes through. The fate of the deal, which has been scrutinized over anti-trust concerns, will be decided in June by U.S. District Court Judge Richard Leon. Fox previously rejected Comcast's $60 billion bid back in November due to similar regulatory concerns. It's all corporate politics and shuffling, but despite fears of a monopoly, people at the fandom level just want to see the X-Men and Fantastic Four properties go to Disney's Marvel Studios, or the distribution rights of the original Star Wars film to go to Disney for a potential full box set—monopoly fears be damned.